Kerala and Karnataka, which are the gateway to the south-west monsoon, have been facing a huge deficit in rainfall. But they would probably not be declared as “drought-hit” courtesy the new definition of drought. The stringent criteria make it difficult for states to get any central assistance and leave them to manage themselves. Till the end of the July, Karnataka had received 25.4 per cent deficit monsoon whereas Kerala saw 30.56 per cent deficit monsoon at the mid-way point of the monsoon season. The sowing areas of Karnataka reached around 60 per cent of normal sowing and Kerala’s paddy- sowing areas reached 80 per cent of the normal. However, both states would still not qualify for being declared “drought-hit” and eligible for central assistance. Because for that, a state should come under the category of “severe deficit”—both in terms of sowing as well as rain deficit. The “severe” category means that there has been a rainfall deficit below 50 per cent and a deficit of below 50 per cent in the sowing area. “But such levels of reduction in the sowing areas have never been recorded in the past. 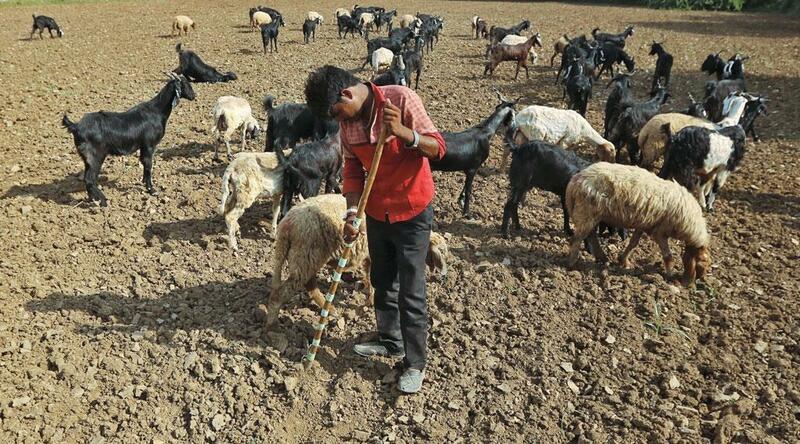 Even in the worst drought condition in 2015-16, our sowing was more than 80 per cent of the normal,” says C N Prabhu, Principal Scientist, Karnataka State Natural Disaster Monitoring Centre. The state has been facing a drought-like condition for the last three years. Karnataka received 25.4 per cent of deficit monsoon till the middle of the monsoon season. The figure is worse if one analyses data region-wise. Karnataka’s south interior region saw a deficit of 42 per cent; Malnad saw a deficit of 31 per cent. North Karnataka saw a deficit of 24 per cent and coastal Karnataka faced a deficit of 17 per cent. “If the situation persists for another two weeks, matters will come to a head,” says a senior official of the Karnataka government. Kerala has achieved paddy sowing up to 80 per cent of total normal sowing. “But the severe rain deficit in most parts of Kerala has spoiled the party for farmers,” says Rajamohan, Deputy Director, Department of Agriculture of Kerala government. In Kerala, the Wayanad district saw almost 60 per cent of deficit, whereas Idukki saw 42 per cent, Thiruvanathpuram saw 34 per cent followed by Kannur, Pathanamthita and Mallapuram with 32 per cent. In the wake of waiver of crop loans, the state would hardly be able to come to the rescue of farmers. “The financial condition of the state is so bad that only central help can help. But we are hopeful that the situation would improve in the coming weeks,” says an official.